« Greg Koukl attacks Dawkins by citing fallacies although he does not understand his own! Protestantism created the problems of the Nazis in Germany. Martin Luther wrote a lot of his dislike of the Jews. He also wanted to create a German church. He was quite the nationalist as well. 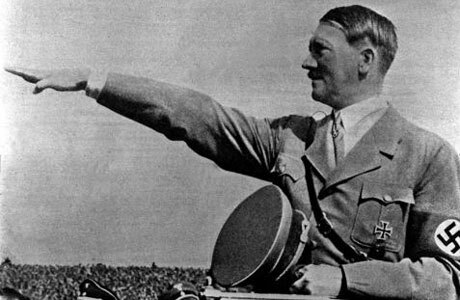 His ideas that we are all saved regardless of sinning allowed a lot of Germans to go along with Hitler’s plans. Well, some of Hitlers stuff was blatantly religious (the Jews) and other programs weren’t (the Gypsies). Of course, the fact he thought God had chosen him for the task would also be a major cause. How could he do wrong? I see this is somewhat old, but I feel compelled to mention a documentary called The Architecture of Doom. It’s available for instant viewing on netflix if you have it. The movie lays out the narrative of the ‘pure race’, obviously a part of the Third Reich, however a more thorough understanding of how they used this really opened my eyes. One of the main and earliest propaganda drives was pumping the Germans up with a pride involving their purity, which was closely tied to the notion of living a perfectly wonderful life free mental illness and temptations… Things such as mental instability (abstract art was one of the many things demonized, it was used to show how unstable and sick the artist’s minds were, many of whom were Jewish) and subversive behavior (homosexuality, addictions, criminality, etc) were used as excuses for the ills of society (among others). Something very interesting mentioned by the film was the notion that Jews had managed to essentially keep their bloodline the same for centuries and for this more than anything needed to be wiped out (as a challenge to the germanic ‘pure bloodline’), with their living in poverty (Jewish slums) only helping to strengthen the argument against them. I imagine taking over any wealthy Jewish businesses and assets would have been a bonus, but not a main cause (i haven’t really heard much on the subject, at least not beyond the collapse of germany’s economy after WWI) and the religious aspect happened to fit with centuries of prosecution for Jews as it was. Seems to render an argument about religion and the the final solution moot (I realize this is only part of the hitler/atheism ‘argument’). i highly recommend the documentary! Thank you I will watch the documentary over the weekend and get back to you!